I began buying papaya when my daughter started on solids as I read it was a great first food for babies. It has a low risk of allergic reaction and is easy to digest. Papaya has many health benefits, it is high in beta-carotene, contains antioxidants and fibre but best of all you can just puree the raw fruit and give it straight to baby, no need for cooking! Combine the puree with banana and you will have a brilliant baby food and a base for a delicious smoothie, simply add a touch of coconut water and squeeze of lime to the puree and it creates a deliciously smooth, refreshing drink. 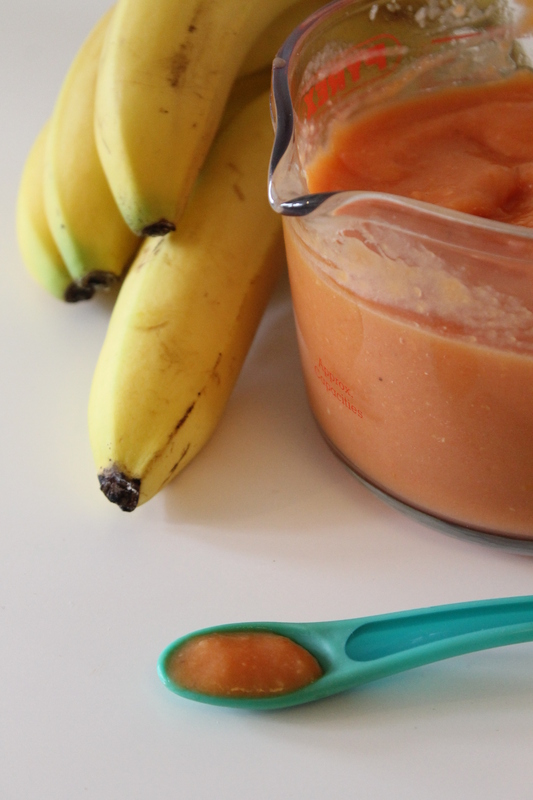 First make the papaya & banana puree. You can give this to baby from 6 months of age as long as you have introduced the items by themselves before hand. To prepare the papaya, cut it lengthwise, scoop out the seeds and peel before cutting into squares. Chop the banana into small chunks. 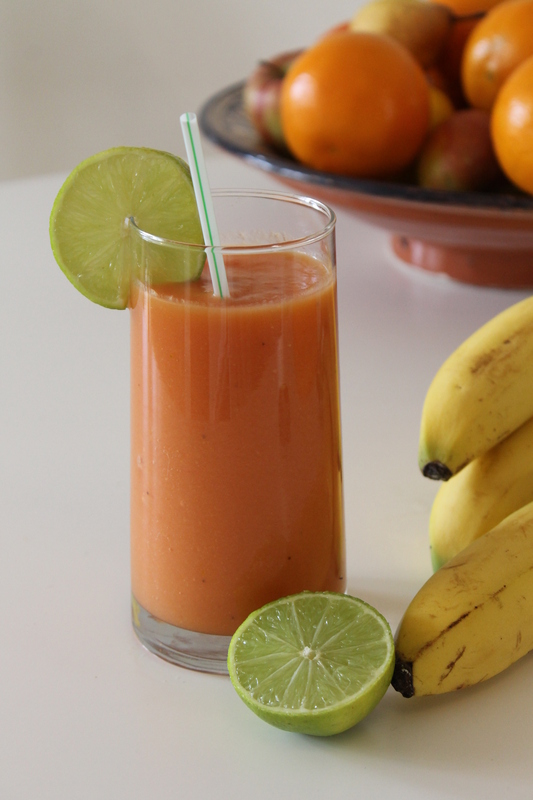 Put both papaya and banana in a liquidiser until smooth. The puree is ready to serve to baby straight away. To create the smoothie add 250ml of coconut water and liquidise some more. Serve into glasses and add a squeeze of lime juice before drinking. For toddlers and children I wouldn’t add the lime juice and serve as it is. Drink straight away or keep in the fridge and use the day you make it. Next Post What should I eat when I’m pregnant?